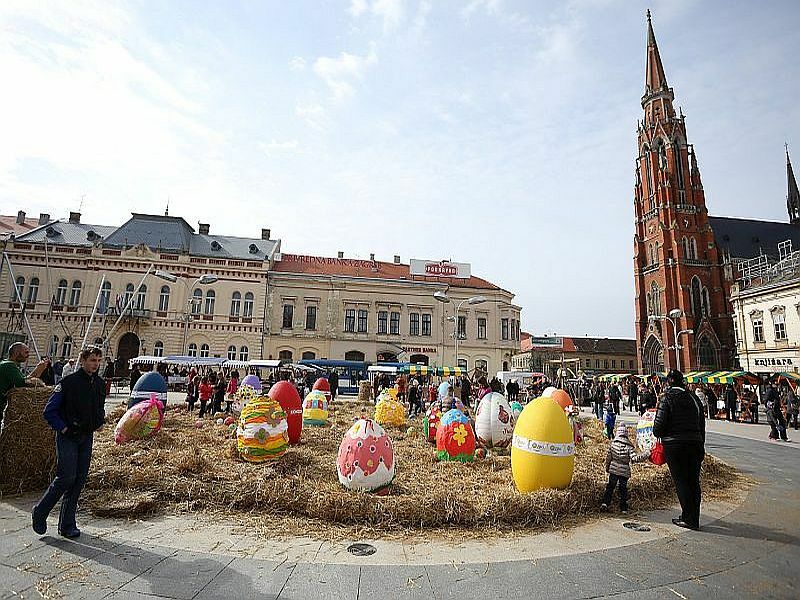 Here you can read how to get to Osijek, find out which train, bus and airline leads to Osijek, how to navigate around the city by public transport and where to park your car or tour bus. 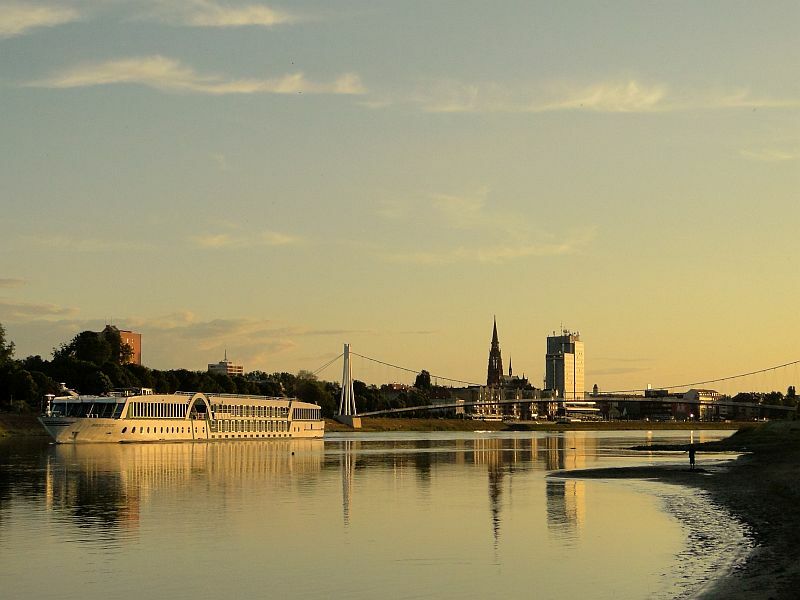 Osijek is located at the transition from Central to the South-eastern Europe, halfway between the capital cities of Croatia, Serbia, Hungary and Bosnia and Herzegovina. From Zagreb, Belgrade and Budapest to Osijek is 2.5 hours car drive, and from Sarajevo it would take you about 4 hours. The border with Hungary is 50 km away, from Serbia 35 km and from Bosnia and Herzegovina 100 km. 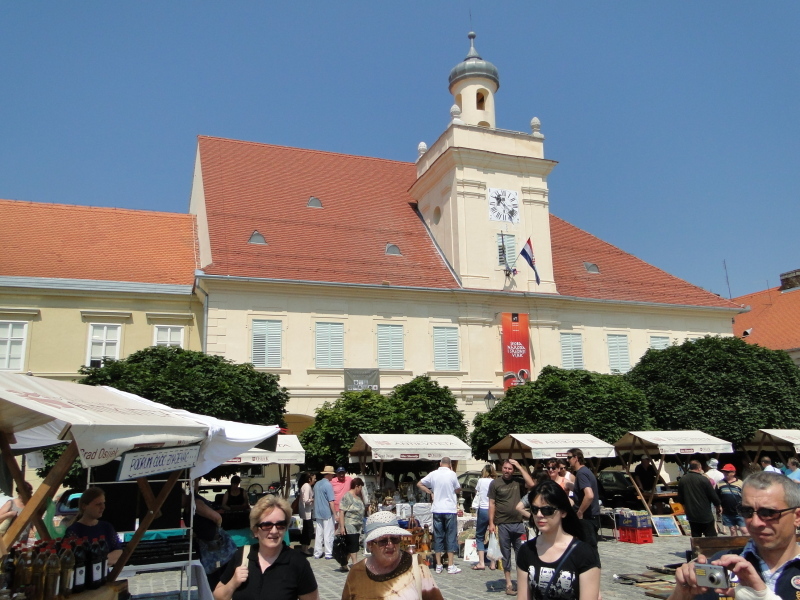 With Zagreb and other major cities in Croatia, Osijek is directly connected by rail lines and frequent bus lines. To the capital cities of neighbouring countries you can come with connecting public transport and a direct bus line you can get from Belgrade (SRB). 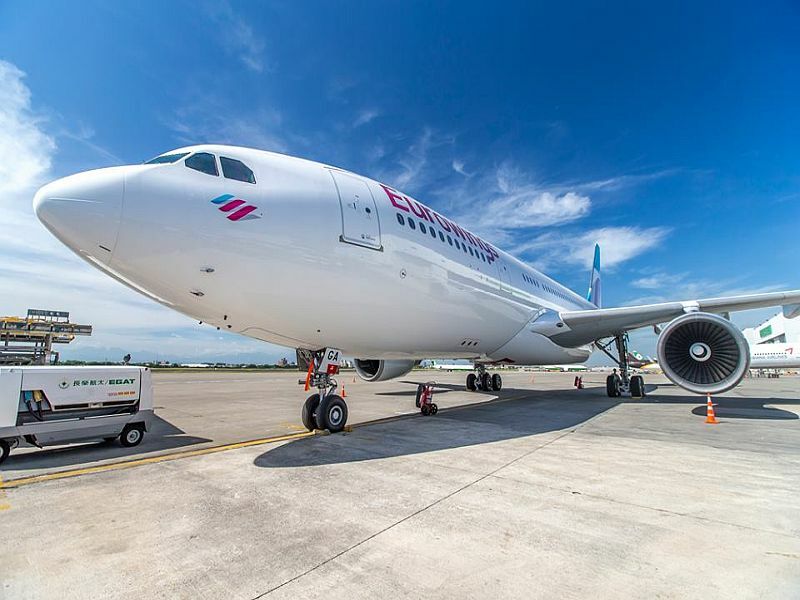 Airlines in the country connect Osijek with Zagreb, Rijeka, Split and Dubrovnik. From the airports in Zagreb, Budapest (Hungary), Belgrade (Serbia) and Tuzla (Bosnia and Herzegovina) you can come relatively quickly to Osijek. 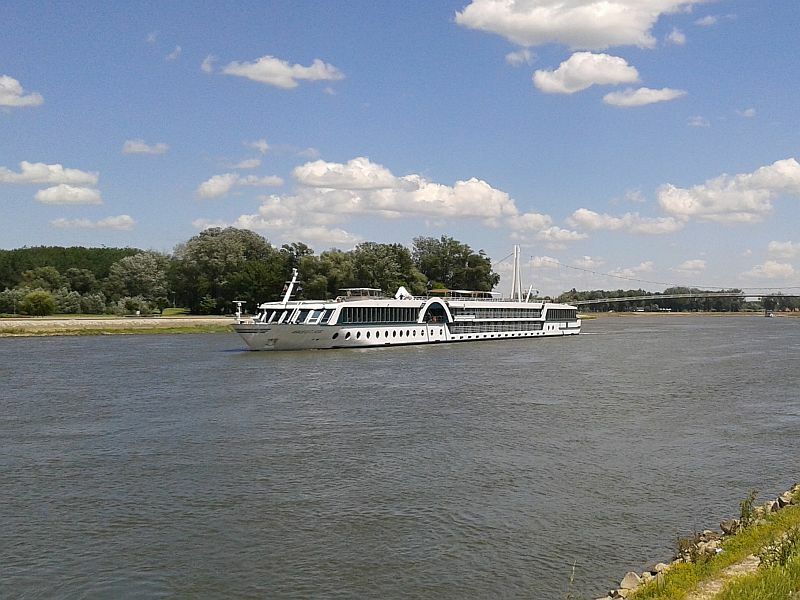 If you are a traveller on a tourist boat on a river cruise you will sail to Osijek on Danube and Drava from the north from Budapest and Mohács and from the east from the Black Sea coast via Belgrade, Novi Sad, Ilok and Vukovar. On the highways you have to pay a toll that's charged according to the rates of the Hrvatske autoceste company (Croatian Highways). If you're driving from the west take the A3 - A5 highway (Ljubljana, SLO - Zagreb - Slavonski Brod - Đakovo - Osijek). From west and east take a state road D2 (Graz, A - Maribor, SLO - Varaždin - Koprivnica - Virovitica - Našice - Osijek - Vukovar - Ilok - Novi Sad, SRB - Belgrade, SRB). From the south and north take the state road D7 or the A5 highway (Bosanski Šamac, BiH - Slavonski Šamac - Đakovo - Osijek - Beli Manastir - Pecs, HU - Budapest, HU). Rail passenger transport in the Republic of Croatia is provided by the company HŽ - Putnički prijevoz Ltd. (Croatian Railways/Hrvatske željeznice). The well-known rail connection from the capital of Hungary and the capital of Bosnia and Herzegovina with connections to the Adriatic Sea is currently not in service. USEFUL INFORMATION It is possible to travel from Budapest to Osijek and back using the bus line operated by Flixbus (here you can see their bus timetable). If you prefer to travel by train, there is a train line Osijek – Beli Manastir operated by Croatian Railways with transfers to Pecs operating daily by Hungarian Railways. From Osijek to Sarajevo (BiH) you can use the bus lines operated by EuroBusWays/Panoramabus and Globtour Medjugorje. You can check the information with the Croatian Railways and Serbian Railways. Central bus station Osijek is managed by the company Panturist, part of Arriva - a Deutsche Bahn Company. Regular services of transportation of passengers to Osijek is provided by a larger number of bus transportation companies. To the smaller places in the Osijek-Baranja County you can get with direct local bus lines of the Panturist Transport Company. Hungary: Budapest railway station Kelenföld, Budapest central bus station Népliget, Budapest airport Ferihegy. This international line is operated by the low cost passenger transport "Flix Bus". Check Flixbus timetable here. Check international Arriva Express line timetable here. Airport Osijek is located along the state road D2, direction Osijek - Vukovar, in the Klisa village, 15 km from the city center. Here you can find information about the time table. Transport from the airport to the railway station is organized after 15 to 20 minutes after the passengers leave the plane. The fare is HRK 30.00 per person (price includes transportation of luggage). For transport it is mandatory to make a reservation 24 hours in advance. Reservation is possible each working day from Monday to Friday from 7am to 3pm on the phone +385 (0) 31 514 400 or on the e-mail info@osijek-airport.hr. From Josipovac in the west of Osijek, through urban neighbourhoods Retfala, Upper Town, Tvrđa and Lower Town to the village of Sarvaš, Osijek is elongated along the river Drava for almost 25 km. 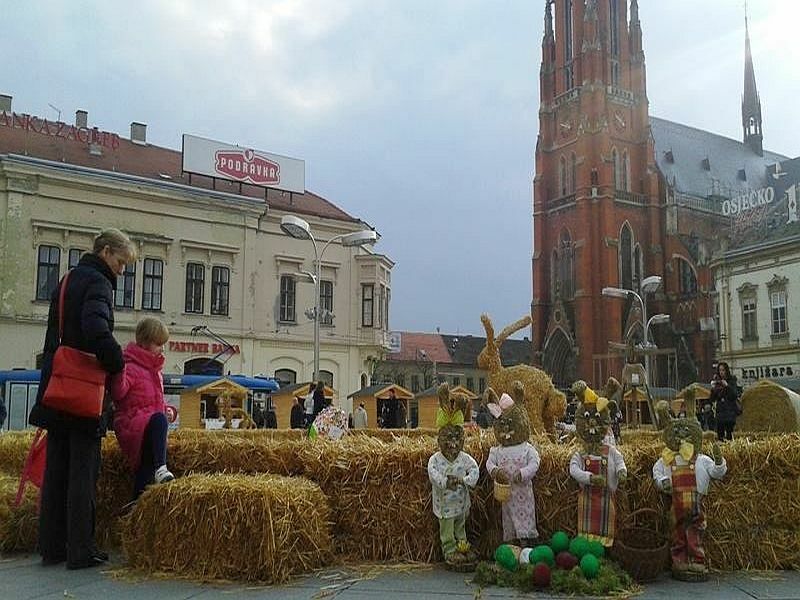 On the longest route from Podravlje to Brijest and Čepin, the city of Osijek is 10 km wide. Therefore, the simplest way to get around the city is by public transport. The city itself (town of Osijek) is cross-linked with about 40 km of cycling trails that stretch even in the suburbs (more on the bicycle routes can be found here: Cycling through Osijek and its surroundings). The easiest way to get around the city is by public transport, tram and bus transport company GPP - Gradski pijevoz putnika Ltd. You can buy the tickets in each tram or bus, as well as in the newsstands and the GPP shops in the Remiza (tram shed) and under the main square. The ticket which is valid for 1 h in all directions, costs 11,- KN and you can buy it from the driver. You can also buy a daily ticket for 35,- KN in the public transport company (GPP) costumer centre in the shopping mall under the main square. If you plan to stay more than 2 to 3 days or longer, it is advisable to buy a “prepaid” card. You can buy the card at any newsstand “Tisak” or in the mentioned costumer centre. For each card you must pay a deposit of 20,- KN which you can get back if you return the card and then put as much money on it as you might need for your rides. In this case each ride costs 8,- KN. When you enter the tram or bus you must validate it at the validating machine at the driver’s side and also when you exit the vehicle, otherwise you will be charged extra. One of the favourite ways to cross the river Drava from the Upper Town to the Tvrđavica village and the zoo is by the ferry Kompa that's owned by city company Unikom. In summer months (June, July, August) Kompa runs every day from 9am to 9pm. At other months of the year (April, May, September, October) Kompa runs every day from 9am to 8pm. Departures from Osijek (from the restaurant Kompa) as well as from Tvrđavica (from the Zoo) are 40 minutes (at regular intervals of 20 minutes). Ticket price: free of charge. Public car parks and parking spaces on the street are divided into three zones administered by the Elektromodul Company. Streets that include parking zones can be seen here. Parking is possible to pay with coins or by mobile phone (m-parking) you can follow to the instructions on the parking machines. Parking payment in all zones is carried out on weekdays (Monday - Friday) from 7am to 8pm and on Saturdays from 7am to 3pm. On Sundays and holidays parking is free. In the case of improper parking vehicles are removed by the company Pauk – vehicles moving services. Contact: Ulica (street) Ivana Gundulića Street 168, Phone: +385 (0) 99 255 92 05, +385 (0) 31 399 073. • bus stop of public transport at the crossroads of (Trg Slobode) Libery Square and the Hrvatske Republike street, by "Šetač" (the Walker) statue. Night parking with the toll is at the Osijek Bus Station (Autobusni kolodvor Osijek), managed by the APP bus transport company.